Last week, I was visiting the website of a certain country’s embassy in the U.S. (yes, I’m deliberately protecting their identity because they’ve promised that the issue is being rectified!) and just out of curiosity, checked to see if they had any information about translation, since this country’s official language is not English. Being bilingual does not a translator make. Translators need other skills such as specialized vocabulary, familiarity with the conventions of the industry, business management skills, etc. In addition, professional translators should be working into their native language only, not into their second, third, etc. language. Using someone who is established as a professional translator is key. Finding a qualified translator is the first step in procuring a quality translation, and a sloppy translation is expensive, embarrassing and time-consuming. Why not do it right the first time? Your brother’s girlfriend may have studied abroad in Italy, but she’s probably not the best choice to translate your annual report into Italian. Probably the best resource for finding a translator (assuming that you are not plugged in to the industry and don’t have access to a word of mouth referral) is a professional association for translators. In the U.S., the American Translators Association has its member directory online and you can search using pretty much any criteria you would like: location, specialization, language pair, ATA certification, etc. In addition, many states and large metro areas have translators associations with online membership directories too, for example our local Colorado Translators Association also has one, and using a local person can be a good option when you are new to purchasing translations or may need someone with whom you can meet in person. Various other countries have active translators associations as well, for example the SFT (France), the ITI (UK), OTTIAQ (Quebec) and many more. These are excellent resources if you are located in those countries, or if you would like to use an in-country translator. In certain cases, online translation marketplaces such as ProZ and TranslatorsCafe can be helpful too. Unfortunately, these marketplaces have a bit of a “reverse auction” reputation in the industry, as places where translation buyers go to get rock-bottom rates or insane turnaround times. However, I think that they can be useful when the translation buyer is dealing with an obscure language that is hard to find otherwise, and when the buyer, instead of posting the job on the marketplace’s job board, contacts the translator directly via the website. You are very right. We use these portals when dealing with an uncommon language, but have found that most of the times translators charging rock-bottom prices do not provide the professional level that we are looking for. Thanks for your comment, I completely agree with you! ProZ and its cousins have a very bad reputation among a lot of professional translators, and unfortunately I think that the stereotype comes from somewhere; a lot of the buyers on there are looking to pay a few cents a word at most, and a lot of the translators are very inexperienced. However, I think it’s a really good resource when you need someone who works in a language where there may be only one or two ATA members listed, or in a language combination that doesn’t involve English. Thanks for being quality-conscious! Actually I think ProZ and similar sites are fairly useful, so long as one understands how to separate the wheat from the chaff–something that the ATA Web site basically does not do at all. The ATA Web site is a bit amateurish, frankly, and when you do a translator search you get next to no information on the individual translator. (And in language combinations with lots and lots of members, you have a nearly zero chance of surfacing from searches–and there is no real way to make yourself stand out, either.) Anyone who uses the ATA Web site expecting a highly qualified, “certified” translator must also take that with a grain of salt, since ATA certification simply means a translator passed an opaquely administered translation test (with engineered sample texts, no computer use, and graders of occasionally questionable qualification). It doesn’t gauge real-world experience or an individual’s work ethic, competence, and professionalism. Many, many expert translators from all over the world can be found on Proz and TranslatorCafe and similar sites who have no ATA certification. That said, the real value of ProZ and similar Web sites I find is in its Blue Board feature. 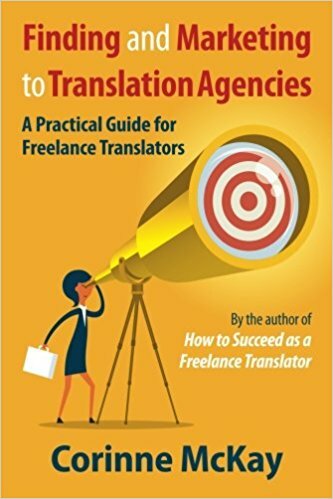 Translators spend a lot of time worrying about vague issues of being (or seeming) qualified, but they don’t worry as much about the payment reliability of and general level of satisfaction with agencies placing jobs. Difficult clients and ones that don’t pay are the bane of any translator’s livelihood. I have never gotten a job through the ATA’s Web site, but every year I earn several thousand dollars through ProZ clients, and I save money using the Blue Board as well. Given surfaceability and the Blue Board, I think a translator is better of spending $100 or so to join a Web site like TranslatorCafe, Proz, etc., rather than join the ATA. I think that the value of ProZ, TranslatorsCafe etc. versus the ATA really depends on your situation, but it’s good to hear from someone who has been satisfied with ProZ and the Blue Board. I’ve never visited the Blue Board, but I have a membership to Payment Practices and I agree that it’s indispensable unless you enjoy working for free. One thing I would add about the ATA website is that the amount of info. that people put on their profiles is really up to them. I think there’s enough space to put a decent amount of information about yourself and the site also allows you to put a link to your own website, where you can of course put as much information as you want. It’s definitely not as full-featured as ProZ’s full profiles are, but I think that many people on the ATA site just don’t bother to completely fill out the information either! First, I must say that I am directly employed by ProZ.com so I am most certainly biased. The “reverse auction” concerns have been raised previously, and I suspect are in part due to our open source policy (anyone can post a job). However the site has evolved considerably over the years. In years past a larger percentage of the jobs posted were of less than market rate, but that is changing as we grow and attract more and better clients. We also offer users the ability to set parameters on their profiles so that they are not contacted or receive notifications unless the job meets their price requirements. One of our newest features is Connect our corporate sourcing and vendor management tool which has agencies like WeLocalize, Euroscript, Lionbridge, CLS, Translations.com and many more very large, very reputable firms posting jobs everyday. They are using ProZ.com to manage their vendors and to post jobs – not just in hard to source pairs, but in many traditional pairs. Also, in terms of value to the freelance translator ProZ.com offers a wide array of tools and opportunities from forums on everything from getting started to rate structure and support for CAT Tools, and training programs, conferences, discounted product offerings and more. But our most used and most cited resource is our free KudoZ terminology database with over 1.5 Million archived terms in 150+ languages sorted by language pair and field of expertise http://www.proz.com.kog is our open source KudoZ glossary. Aside from bidding on jobs, there is lots to do on ProZ.com for both the freelance translator, and agencies that hire them – and almost everything is free. Drew, thanks for your comment, it’s always good to hear from people who have the inside view on online translation marketplaces! I also should have said in my original post that I often refer people to ProZ and TranslatorsCafe for the forums, articles, terminology resources, etc. and that almost all of that is free, thanks for pointing that out. I also think that ProZ and sites like it have a valuable niche in the industry; it’s a great place to access translators from all over the world and in languages and language combinations that are hard to find. It would be interesting to know, if ProZ keeps those statistics, how many jobs are awarded either to the lowest bidder, or to a translator who charges less than market rates, for example less than the average for that language combination as reported by the ATA Compensation Survey or another industry rates survey. Of course ProZ wouldn’t be obligated to release that information if you have it, but I think it would be an interesting data point! Thanks again for your comment and please visit again! Hello!I’m a Chinese student majoring in English,and i want to have a career in translating though our school doesn’t divide the specific majoring direction for us,but i’m afraid it’s very difficult to come ture since my English is so narrow and poor.As for my dream,i just don’t know how to prepare for it and where to begin,I wonder if you could give me some advice about it .